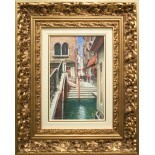 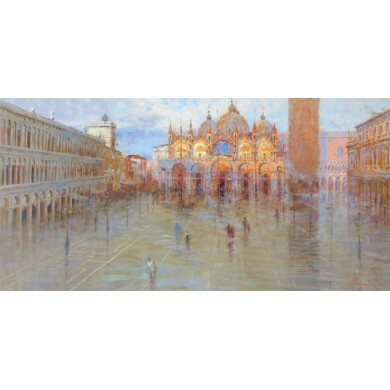 This is beautiful original oil on canvas street painting of Venice in a gold carved frame. 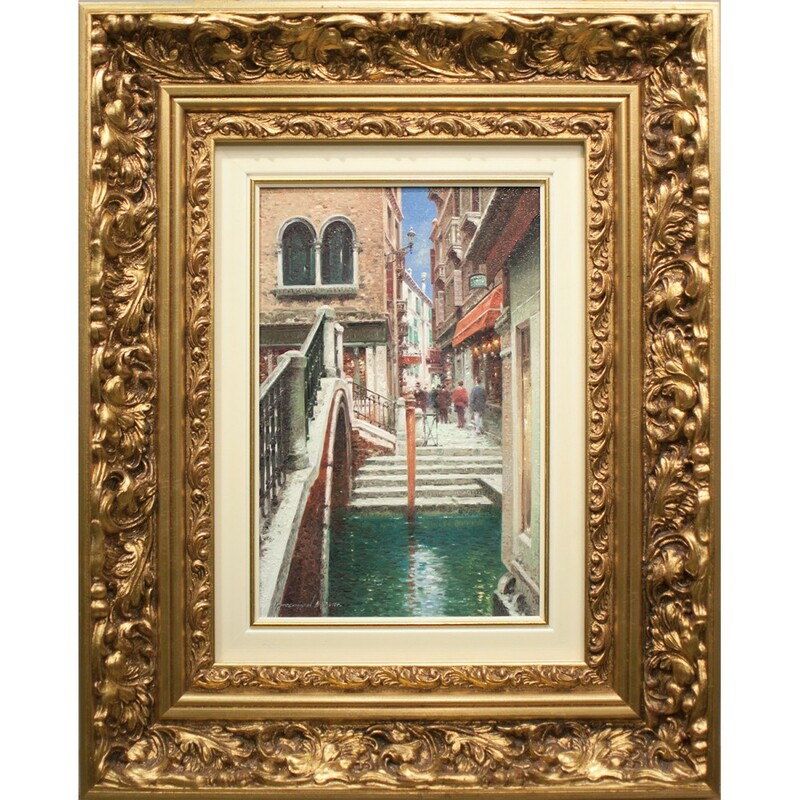 When you look at this painting you can feel amazing atmosphere of the back streets of Venice. 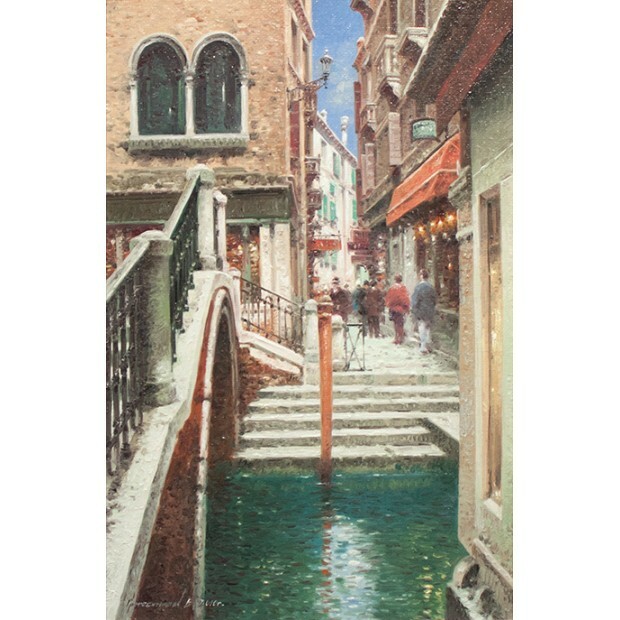 When you walk away from the main streets there are some very quiet residential areas with picturesque canals, narrow streets, small bridges and secretive corners. The artist has an eye for color and geometry, and he has a good hand.